Backstage from London Fashion Week. 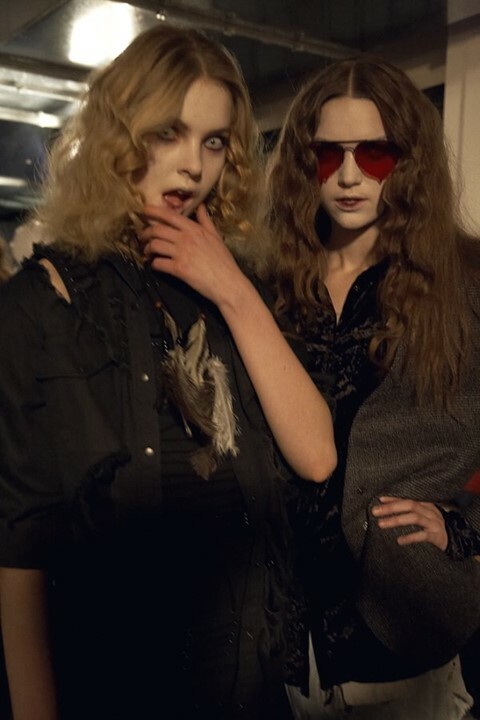 Ann Sofie Back said a big "Boo" with her collection, referencing all the iconic horror movies and slashing everything into shreds, adding shamanistic feathers where possible, completed by gloulish make-up and contact lenses. Backstage photography by Kate Rodgers and Rod Edmonds and Patrick Lindblom.